Recently, I took my daughter to see her second Major League Baseball game at Safeco Field in Seattle. The Mariners played the New York Yankees. The Yankees won and all was right in the world. Attending baseball games has been a family tradition dating back to when my dad was a boy in the 1950s. The first game he saw featured Whitey Ford and Mickey Mantle. My first game was on Sept. 2, 1983, and featured Don Mattingly and Dave Winfield. 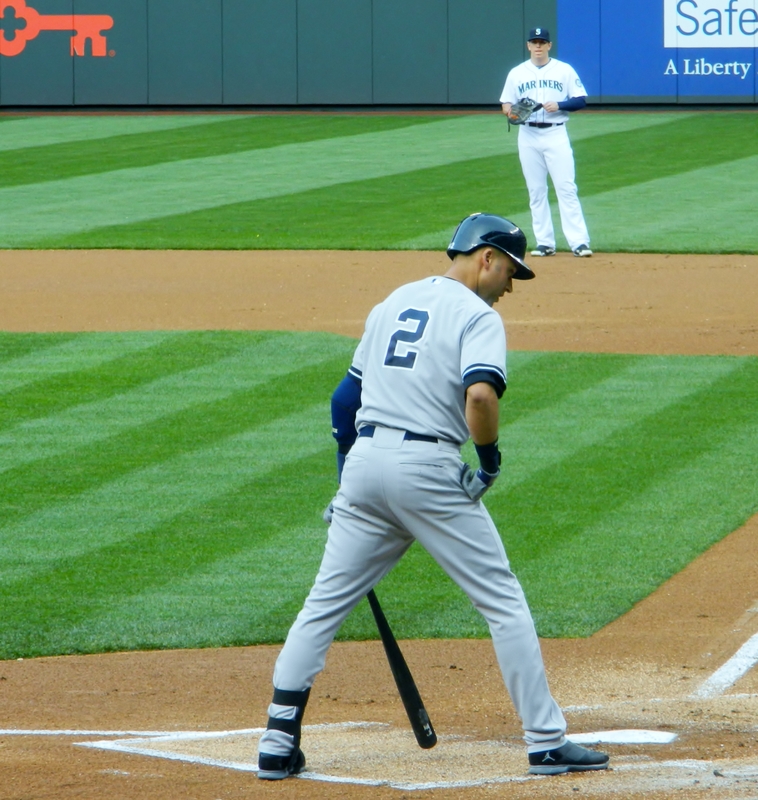 My daughter, Catarina, got to see Derek Jeter’s final trip to Seattle – and a Yankees win – her first time in a big-league stadium in 2014. As an aside my wife would like you to know that there will be no post with tips on taking a baby to a baseball game. We still have no idea what we are doing (remember sunscreen, even when you go to a game in Seattle!). 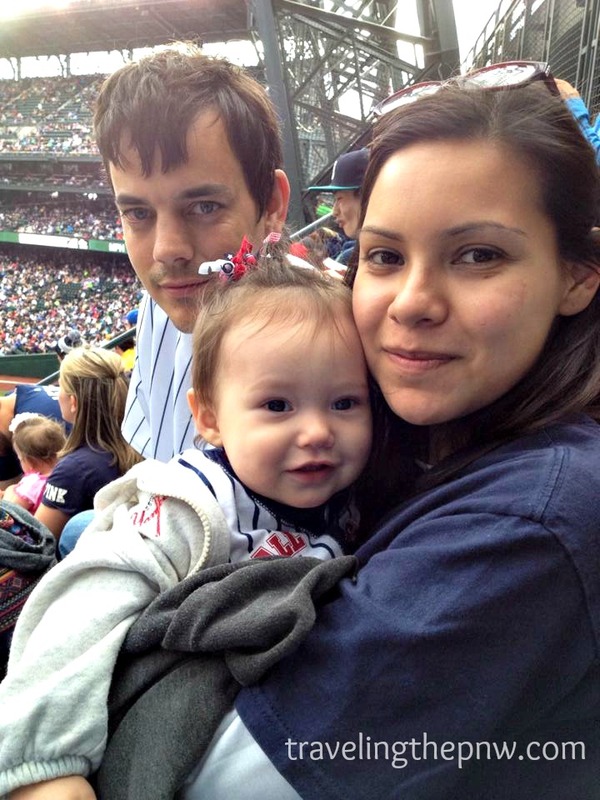 Catarina at her first Major League Baseball game in 2014 at Safeco Field in Seattle. She was even rocking a Yankees sweatshirt, and saw a Yankees win! There is something so quintessentially American about taking your kid to a baseball game. The smells of peanuts, hot dogs and beer, the crack of the bat and the roar of the crowd, the clapping, chanting and singing. The list goes on and on. While some folks call baseball boring, I think the length of the game makes it a communal event. I’ve had some of the best three-hour conversations of my life with family and friends while taking in a ballgame. Sitting back, enjoying some sunlight, eating peanuts and just talking about life while watching a game sounds just about perfect to me. 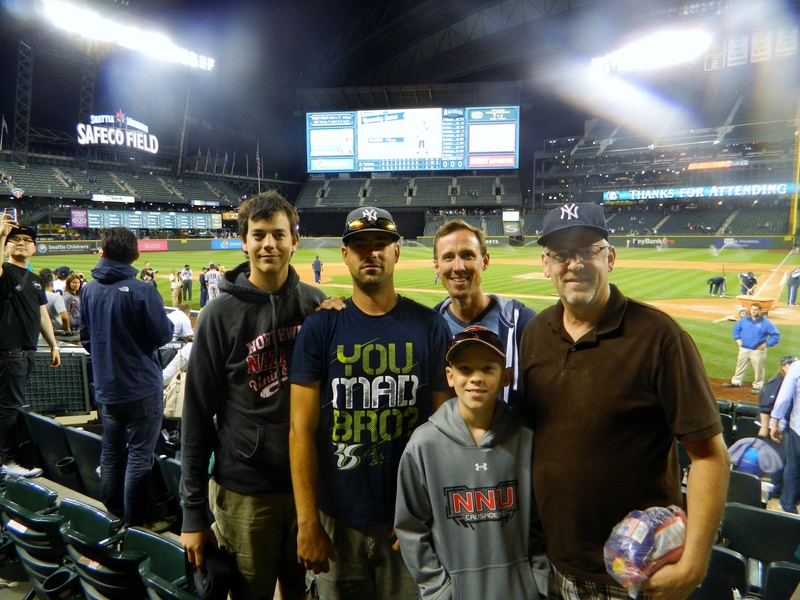 After watching the Yankees beat the Mariners, we posed for a photo near the Yankees dugout in 2014. From left: Craig Craker, Mick Craker, Dustin Metcalf (back), Andrew Metcalf and Randy Craker. The Craker men have been going to games since the early 1980s together, thanks to Randy’s love for baseball. It is a passion he passed down through the generations. Some of my fondest memories growing up were going to baseball games. My dad loves going to games, and would often take us kids to as many each season as the family could afford (and tickets were a lot cheaper back then). Heck, our family vacations seemed to revolve around baseball. In 1993, we drove from Seattle to Indianapolis for Nazarene General Assembly. While we were on official church business for most of the trip, you bet we found time to hit four games in six days – hitting Comiskey Park and Wrigley Field in Chicago, Kansas City’s Kauffman Stadium and Denver’s Mile High Stadium. Other family trips saw us attend games at Baltimore’s Memorial Stadium (I remember we parked in a seedy part of town and I was terrified walking to the stadium), Dodger Stadium in Los Angeles, the Ballpark in Arlington (drove up from San Antonio for a day game, it was hot), Yankee Stadium and Camden Yards in Baltimore. And of course growing up in Seattle, we saw innumerable games at the Kingdome and Safeco Field. 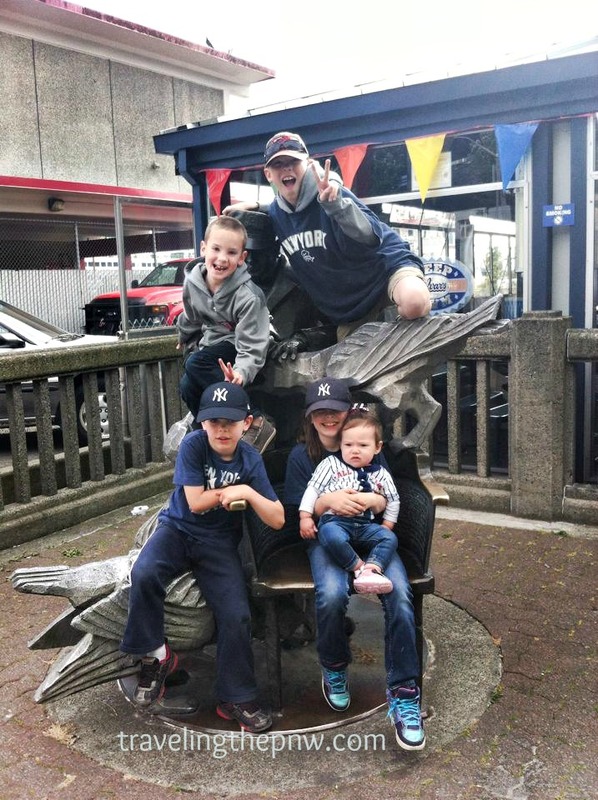 All the grandkids together next to Ivar’s in downtown Seattle before a Yankees game in 2014. Clockwise from bottom left: Emmett, Ethan, Andrew, Eleanor, and Catarina (on Eleanor’s lap). If there was a game going on nearby, we were likely going to try and attend. 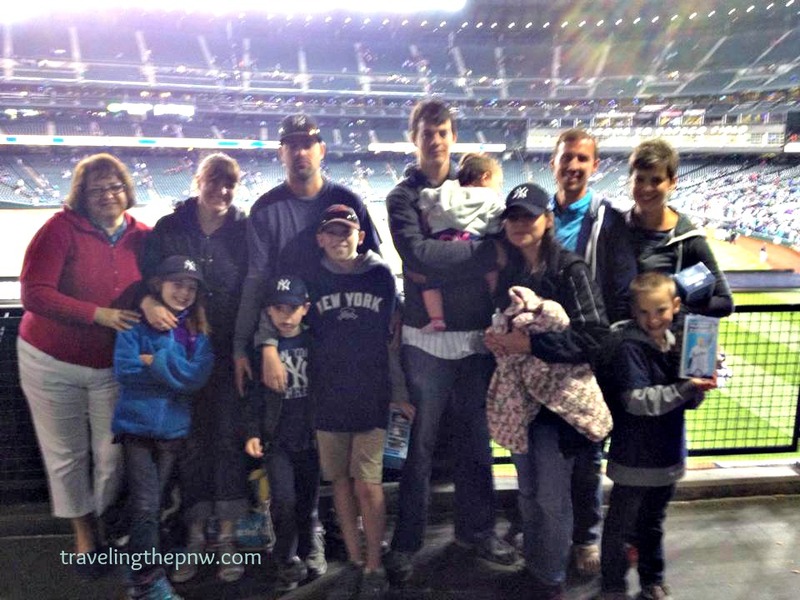 Yankees-Mariners game were almost like family reunions growing up. It was a time when my Uncle Gil would drive over from the Tri-Cities, and later Nampa, Idaho, to go to games with us. My dad’s cousin Craig Zickefoose (who I was named after), and his brother Grady, would bring their families and go to games with us. My dad’s sister, Velma and her husband Neil took us to a Yankees-Mariners game one time. Even my grandparents on my mom’s side would visit and go. Eventually, it became a way for our immediate family to get together. Careers, kids, busy lives make it difficult to find the time to see each other, but meeting up in Seattle once a year for a game was a good way to catch up. A blurry cell phone photo by my dad of the whole family at a Yankees game in 2014. It’s not often we all get together since we are spread across two states, but a Yankees game is a good excuse. Even my wife, Veronica, has gotten in on the act. While she wasn’t much of a baseball fan growing up, she now willingly attends the games and even owns a Yankees shirt and hat! While I no longer go to games as often as I did growing up – have you seen how much tickets cost these days? – we do try and hit at least one Yankees-Mariners game a year. And while Catarina isn’t likely to remember much about these first two games, continuing the family tradition is still important to me. My daughter, Catarina, won’t remember it, but she can at least tell people that her first baseball game was also the last time Derek Jeter played in Seattle. It was a special night, as he went 3-for-4 and the Yankees won. And really, other than a Yankees win, what more can you ask for?